In 2001 the dawn of an unexpected formula started an unpredictable olfactory movement. A two-tiered composition that blends the freshness of citrus with the sensual wave of sophisticated patchouli. A new-generation wood that has been dusted off, fractionated, pared down to leave nothing but the thrill of its heart on the skin. 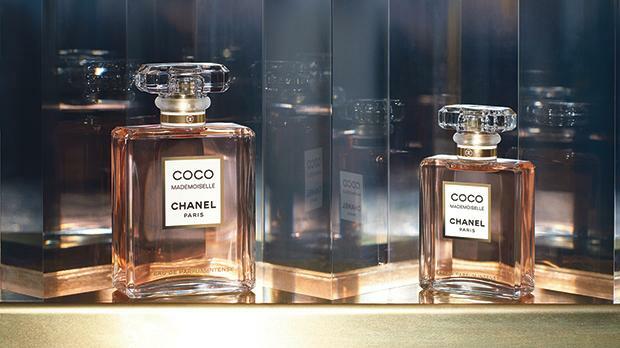 Created for rebellious personalities with a taste for elegance, Coco Mademoiselle launched a new form of seduction. Keira Knightley, the face of Coco Mademoiselle for the past 10 years. In 2018, Coco Mademoiselle is reclaiming its territory. Remaining true to its oriental origins, Coco Mademoiselle Eau de Parfum Intense is for all those who wholeheartedly embrace their folly, their passion and their excessiveness with an open smile – a captivating fragrance that makes a strong impact, with no intention of being forgotten. Like Coco Mademoiselle Eau de Parfum that wavers between its seeming frivolity and a strong character, between the freshness of citrus peel and the ardent blaze of wood, Coco Mademoiselle Eau de Parfum Intense turns this play of seduction up a notch. One can thus identify the Sicilian orange and Calabrian bergamot, as well as the fruity accent that distinguishes Coco Mademoiselle. But within a few minutes, the Indonesian patchouli takes root and winds itself around the heart of rose and jasmine. To create an even more magnetic and enduring fragrance, Polge combined a higher proportion of patchouli leaves with an ambery accord composed of tonka bean and Madagascar vanilla absolutes. The face of Coco Mademoiselle for the past 10 years, British actress Keira Knightley has reprised her mischievous role as she plays an irresistibly carefree game of seduction in the new advertising film. The campaign reveals a new personality trait of the temptress, a new lesson in seduction that encourages embracing life and all its adventures.